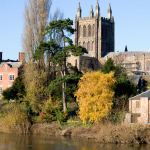 Gastronomy, fashion, landmarks, regions. There are many things they say you must not miss when you visit France. Between the countryside and the coast, nature and the cities, everyone can find something to his taste he does not want to miss. I’ve been to France once, but only for a very short business-related stay. I do plan on eventually going back, for a stay of at least a week. When I do, here are the main points of interest I hope to see. “Do you know those strange rocks in the North of France?” Those white chalk cliffs, sculpted by the sea, are impressive and welcome many visitors each year. You can walk to the cliffs and admire the astonishing view. Each part has a different name: the Aval’s Door, the Needle, the Manneporte, the Amont’s Cliff. Artists celebrated them, like Monet, Courbet, Flaubert, and Maupassant; they gained a worldwide reputation and always draw more people to them. Etretat became a beach resort in the 19th century and lives essentially from tourism since then. 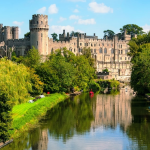 Many castles, mansions, and villas were built on the heights of the city, as well as a casino, which are also part of the touristic animation. Your advised to leave your car when you enter the city, as the streets are very small and the inhabitants do not welcome big cars jamming the streets. You must have guessed the Dune of Pilat is a sand dune located in the Landes de Gascogne, near the Bassin d’Arcachon. It is the highest in Europe (110m) but you can climb it up safely enough. You may have sand everywhere after that. From the top, you will see the forest inland and the basin on the other side. You are literally between earth and sea. You can do paragliding and other sports and enjoy the view of this unique site. The city of Pyla-Sur-Mer, where the Dune belongs, is a beach resort where French and foreign tourists go as soon as summer comes. 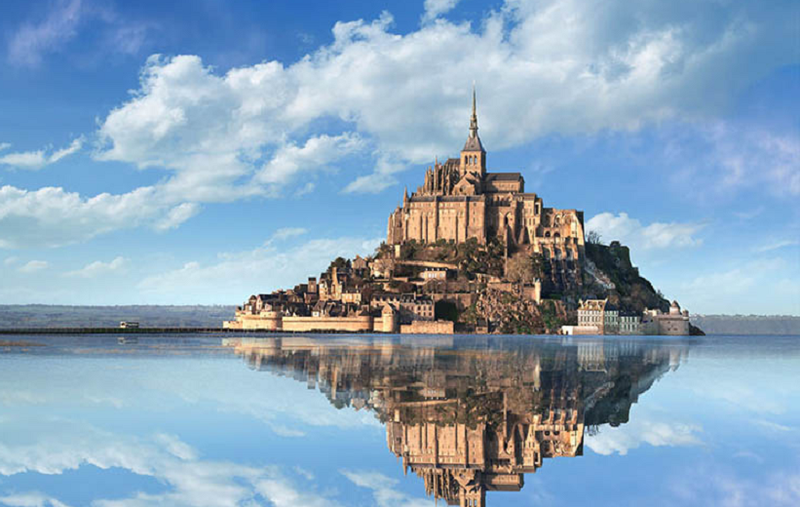 Mont Saint-Michel definitely stands in Normandie and it makes the inhabitants proud. It is the most visited site of Normandie and one of the ten most visited places of France. It is located on a rocky island in the Channel. You can access it after a walk or by bus (better not to try swimming). The abbey’s church is the highest point of the island and it has been listed as a historic monument since 1862. You will also find shops and restaurants to buy souvenirs and tastes the culinary specialties of the area (try the restaurant de la Mère Poulard). About 40 people only live in the Mont-Saint-Michel, essentially from tourism, and they are always happy to see new visitor (as long as they are respectful). The abbey is a Catholic pilgrimage destination, and some people even take a retreat here with the Jerusalem monks community. From the local gastronomy and the panorama to the spiritual aspect of the place, there are many reasons to come and see this rocky island. The list has to include, of course, France’s capital city, Paris. What would a stay in France be without a tour in Paris? You could stay there for two weeks, a month, or even live here; the city comprises so many secrets and hidden places you cannot get bored. Amongst the must-do’s, let us list the Eiffel Tower, the Arc de Triomphe, the Sacré-Coeur, and the Louvre. If it is not your first visit, you might want to see less touristic places, such as the Marais, the Place de la Nation, Denfert-Rochereau, and the Jardin du Luxembourg. Those who are used to Paris may prefer to get out of the usual and most famous ways, including by getting away from the center of the city. The suburbs of Paris are far less known, but deserve a look and are well-connected to the transportation network. Vincennes includes many green parks with its Bois and its castle. Montreuil almost looks like a small village, just bigger than usual and with more diversity (there are more than 90 different nationalities). Finally, you can go to Neuilly-sur-Seine, a rich town with very nice houses. Bordeaux is a student’s city, but there is more to it. It is a cultural, historic, and sporty city at the same time, with plenty of places to visit, though most are not as famous as they deserve. La Cité du Vin (the city of Wine) must be one the most iconic buildings of this city located in a wine production area. You must also see the Miroir d’Eau (water mirror), the Grand Théâtre, the panoramas, the Place de la Bourse, or one the 350 landmarks listed as historic monuments. To walk or bike through the city is still the best way to discover it, to find secret places, or to stroll alongside the river Garonne. Do not forget to taste a Bordeaux, the local wine, a cannelé, a local pastry or fresh oysters, or to buy clothes from the factories’ shops (really, really cheap). But Bordeaux is also a young city, which means you will find bars and pubs pretty much everywhere, and some clubs too, but nothing compares to ending the party in the streets. A bit like Bordeaux, Strasbourg is a student’s, historic, cultural, and culinary city. 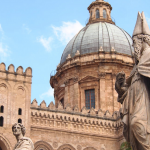 The first place to see is undoubtedly the Cathedral, erected at the very heart of the city. You can climb the stairs up to the top (332 steps … that’s some sport for you!) and enjoy a beautiful view over the Alsatian old town. If you want to see the most authentic Strasbourg, the historic district of Petite France is a good idea: timbered houses, tanneries, and little bridges over the channels. Before dinner, go to the Place du Marché Gayot (also called PMG) for a funny atmosphere where students meet. For dinner (and not before, because it is quite heavy on the stomach), try the local specialties in the “winstub,” those typically Alsatian restaurants: choucroute (sauerkraut with pork and sausages), baeckeoffe (marinated potatoes and meat), flammekuche (a very thin pie), kougelhopf (a cake), or maenneles (human-shaped cakes); there is something for every taste. The palace, the gardens, the royal atmosphere … children and adults alike dream of the Palace of Versailles. Its construction began in 1623 to house the King of France and its court. Kings Louis XIV, Louis XV, and Louis XVI lived there between 1682 and 1723. After the French Revolution, it has served as a Consulate, has been restored, and it is now classified as a Historic Monument and serves as a Museum of French Monarchy. You can visit the apartments of the King, of the Ladies, the galleries, the royal Opera, the Trianon, the Orangerie, the stables, the park, etc. But there is not only the Palace in Versailles. The city is rather posh, and you may visit the Place du Marché de Notre-Dame (the Market’s Place), the Notre-Dame de Versailles church, or the City Hall. A full day in Versailles seems to be ideal to visit both the Palace and the city. 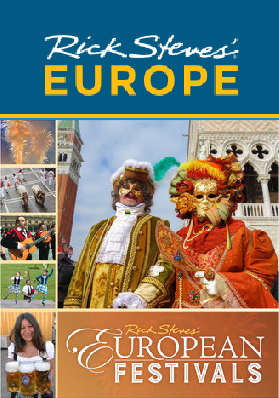 As with any European destination, Rick Steves has some great tips to offer. Rest assured, those volcanoes are not active anymore … but they might wake up one day. Those volcanoes form the Massif Central chain and they are between 65 million and 7,000 years old. There are 77 of them in the Parc Naturel régional des Volcans d’Auvergne. Geologists often study those volcanoes and it seems that, one day, they may erupt again, but not soon. You can visit them safely, but you’d better have good shoes. 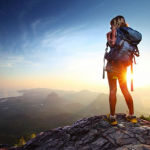 The hiking can be quite difficult. 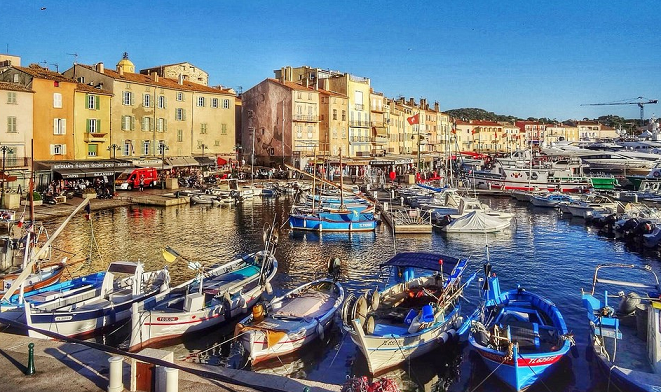 Saint-Tropez is one of the most famous cities of the Côte d’Azur, thanks to the stars that inhabited here and the movies which took place in the city. French chic is everywhere, including on the beach, and is part of the famous charm of the area. As for the must-do’s, go to Pampelonne’s beach, Saint-Tropez’s harbor, Camarat’s lighthouse, and the Citadelle. Tourists love those places, but so do the inhabitants who live and work there. See fodors.com for more good France travel tips. If you want to avoid the touristic turmoil, follow the local schedule. Get up early to bathe on the empty beach (Ponche beach), go to the market on the Place des Lices before 11 a.m. Enjoy a long break during lunch in a café’s shadow, and visit the Ponche district in the late afternoon. In the evening, Sainte-Maxime is not far away and is far better than Saint-Tropez. Cheaper and more quiet, it is as beautiful as its neighbor but with much fewer tourists. There is Nice, and Old Nice, which is the oldest part of the city. In the Old Nice, you will find many typical southern shops selling olive oil, spices, and flowers. But despite this name, there are not only old things in here. Modern shops settled in the area, such as cloth shops, supermarkets, and tattoo parlors. At sunset, typical restaurants and old pubs get along with bars and nightclubs to party all night. You can access the sea from the old town (unlike many other French old towns built on heights). This part of the city represents only 15 streets, rather tight but so authentic. The Cours Saleya’s market, where the inhabitants come to shop every morning, also takes place there. Of course, you can see elsewhere and visit Nice as well; it is worth it.